A Tonk's Tail... err, Tale...: Bye-bye. So, Kitties Blue, can I call this a Sideways Selfie? Or maybe a contemplative one? 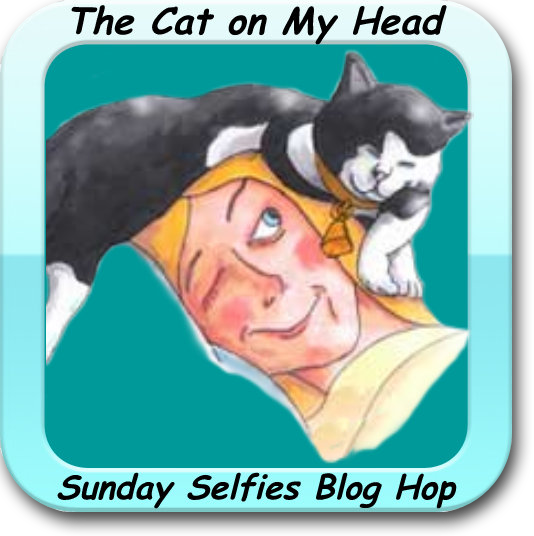 For more Sunday Selfies, click here to visit The Cat on My Head blog! How sweet but Spring will be here soon. Have a serene and easy Sunday now. I agree, we will miss summer too. Please visit us for a catnip turkey drumstick giveaway. But soon everything will be beautiful and white! We will miss summer, too, buddy. Ain't it the truth buddy. There is SNOW in my forecast for the next couple of days. We are so excited here...bit snowstorm headed in and lots of snow tomorrow. I think it is more something dogs love and not cats, but we sure are excited. They are whispering "snow" here for tonight and tomorrow. 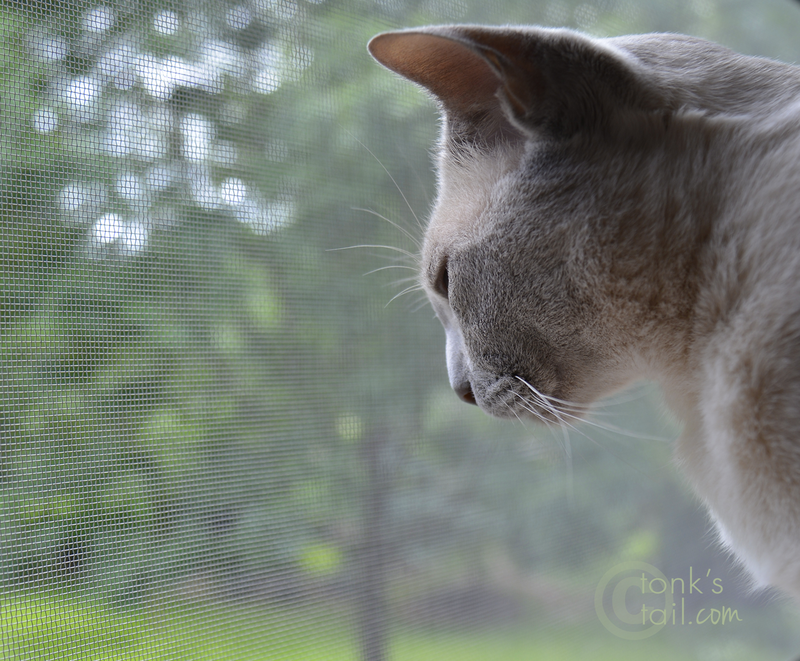 Gloomy and no sunpuddles! But at least we have warm places to live, right? And love. It's still 70 degrees here and we have blooms on the day lillies and roses! I even went outside yesterday. The trees are starting to turn colors though so I guess winter is coming. Yeah, out here in California, we are entering the "brown" season. We have green all year round unless we get snow which is rare. I don't like the cold though so that means sitting by the wood burner and pinching mum's recliner. We've had pawsome warm weather until today. Now winter is coming! We're gonna have cold and snow all week. I'll miss summer. C'mon out to Vegas! We'd love a few more kittehs around here. don't worry, it will be back before you know it. Winter has arrived here (again)! Mes thinks that its here until April (or May, or June) 2015!! Oh, yes, we miss it too. Brrrrr. sniff, sniff. We will miss summer too - so many warm sun puddles! But the fall is fun with all of the leaves blowing around! We join you. We are not fans of Brrrrrr Humbug Season.